Interested in Nancy Larson Science? Find them everywhere! Take at the list below. ? A parent asked if it what necessary to start the Science 1 lessons in order. Here’s why it is. Nancy writes the lessons with the intention that they be taught in order. 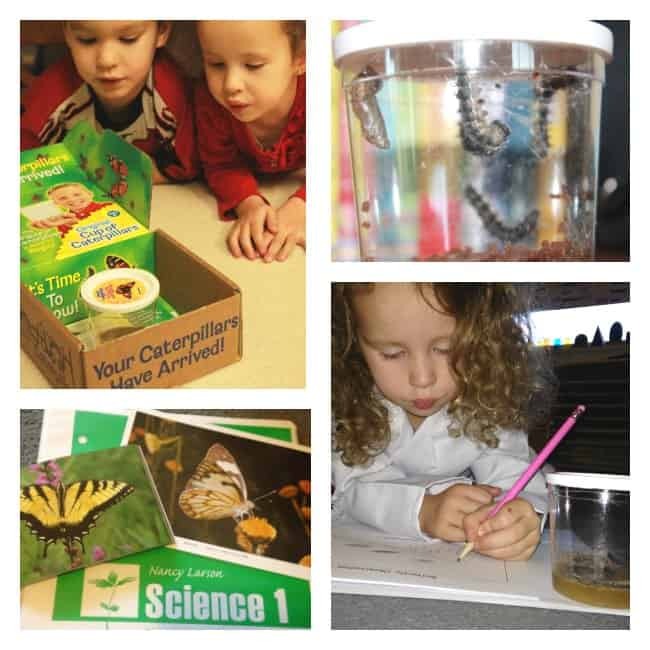 The scientific information builds on previous lessons, reviewing and referring back when teaching new concepts, and helps children learn new applications and adaptations of information. Nancy also focuses on learning strategies, those lifelong learner skills that we want our children to master. 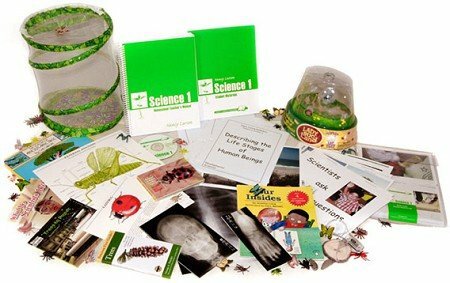 These are woven intricately into each lesson, through the science conversation created in the scripted lesson. 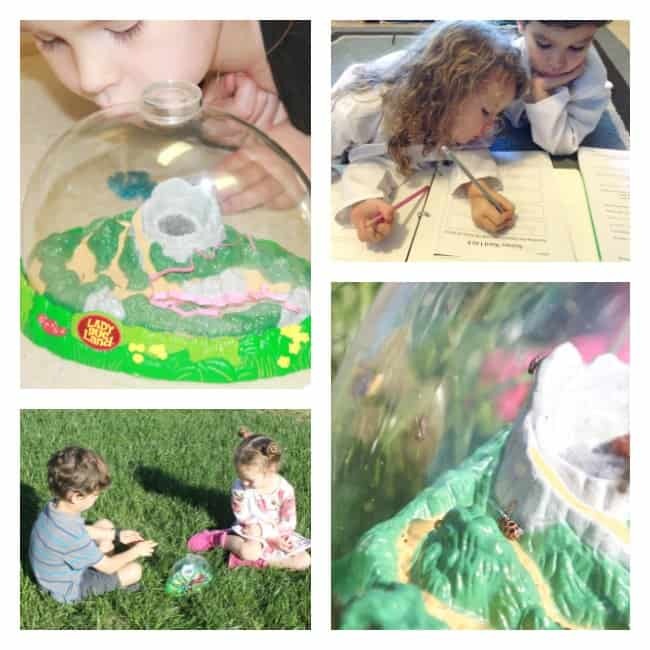 Also in Science 1, Nancy purposely begins with a familiar topic (people) through which they become comfortable with the science conversation, observing characteristics, creating scientific illustrations, and developing a science lab book. These basic skills will continue to be developed through progressively more rigorous topics and reading. So we feel it’s important to stress the order of the lessons in each level of Nancy Larson Science. Please know that we are here to answer any questions, and help make this the best possible learning experience for homeschool children. Plus, we love to hear from our parents and share in the adventure. 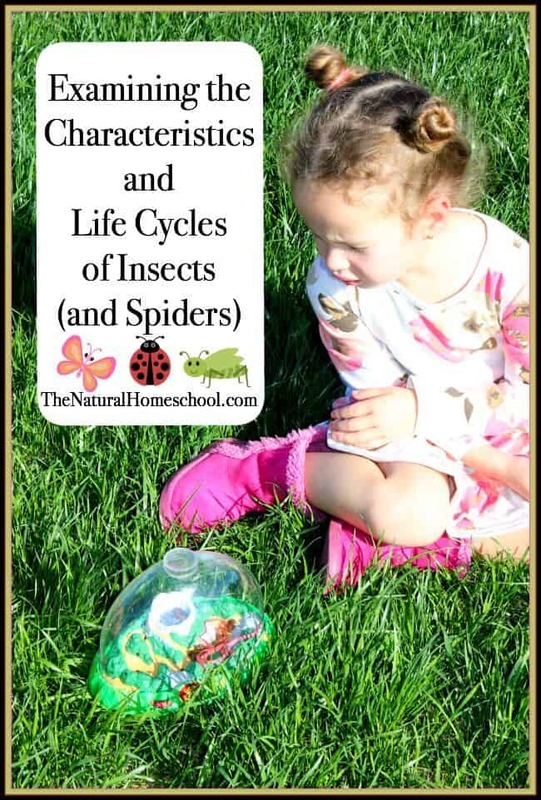 Jolanthe of Homeschool Creations recently posted this update. We’re at the halfway point in our homeschool time, and even a few day beyond. Even though it’s technically a little closer to the middle of January, our Christmas break provided more of a chance to sit down and look at how each child is progressing and see if there are any changes we needed to make to what we are using. 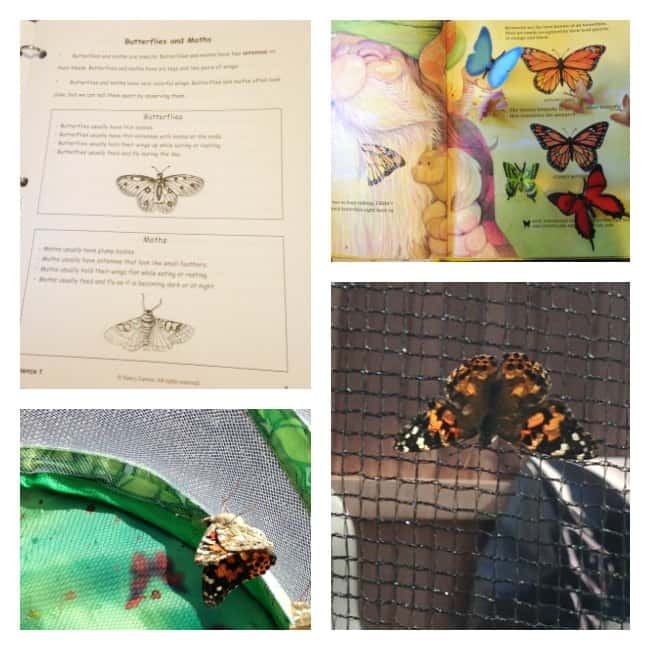 Overall, we’ve been really happy with our homeschool curriculum choices, but we have tweaked a few things – and I thought you all might like to see what the kids are enjoying the most as well! Over the next week or so, I’ll be sharing a post on each of the kids (it seemed easier than grouping it all into one post!). Overall our 3rd grade curriculum choices have been a great fit. We have added and/or delayed a few subject areas. Kaleb’s favorite subjects are definitely science, grammar (he loves Daily Grams), and anything art related. He strongly dislikes diagramming though (my heart breaks). While history hasn’t been his favorite, adding in comic strip illustrations to help his take notes and remember the lessons has made a difference the last two months. Kaleb is one of our most dedicated learners (i.e. not one to complain about his work other than possibly reading). He is typically working on school work before it’s even time to start the day and it isn’t uncommon to find out that he’s finished his math and handwriting – always a nice start to the day! He is also the boy that wants to do as much as he can 1:1 with me, so this year we are pushing him a little bit in working on math via the computer (last year we used Teaching Textbooks, but I did all the lectures with him because he said the computer was too hard – it wasn’t, he just wanted to be with me more). On the other hand – he is my baby and I want to enjoy every last minute of this 1:1 time that we have together (shhhh – don’t tell him). Our cursive handwriting has really been fun too (although there are complaints some days). I haven’t figured out a way to share the printables yet, but each week we review a verse from the Bible and practice letters and words based on those verses from our Seeds Family Worship albums. It’s been a great way to review verses we’ve learned via song and further cement them in our hearts (for me too!). The youngest three and I are working on history together and combining Mystery of History and Story of the World has been great. With comic strip illustrations, he is remembering the bulk of what we are learning. Through history we are looking at past and modern geography (I’ll admit that I’m learning a thing or two!). The vocabulary cards aren’t Kaleb’s favorite, but he is remembering quite a bit, although he is slower to grasp the words than Zachary and McKenna. He tolerates them, but gets frustrated easily since the older two want to give the answers quickly. They have been a fun way to start the morning though. Life of Fred Readers – We added these in about a month after we started school and they have been a HUGE hit. You can read my Life of Fred beginning readers review for more information, but Kaleb LOVES them. We are using our 3rd grade reading list for additional book choices too. A few unit studies from Ivy Kids. So far we’ve used A House for Hermit Crab and are in the midst of Make Way for Duckling – absolutely loving them. Big Truths for Young Hearts has been our Bible time, until we start Grapevine in February. PE – The kids decided to participate in swim team for the year. Kaleb has practices 3-4 times a week, depending on our schedule and he has really enjoyed swimming (and is improving quickly). Kaleb has LOVED his Rock Hound’s backpack and has already added that into his school time. He is constantly looking for rocks to learn more about and I love that it has inspired something in him. While this isn’t a daily subject, it has definitely been a great addition to his learning. Writing – We absolutely love WriteShop but are focusing on Kaleb’s reading for now. He does have writing prompts and copywork through his handwriting and history, so we have shelved it for the time being. If we are at a point where we can add in lessons, we definitely will. Geography: Although I had grand plans with this for the year, we are focusing on what we are learning through history and not working on a specific program. Waiting until next year on this one. Looping subjects – Occasionally there are areas that I tend to push aside (or they just get pushed aside) because we have other things happening or something interrupts and we get sidetracked. Spelling and learning games are two of those areas (as well as read-alouds – see below. With these two, as well as science projects, we’re going to put onto a loop schedule where we rotate what comes next. Rather than having an assigned day of the week for each subject, they are going on a rotation schedule a few days each week and work on the next in line. That way if we miss a day, it’s really not a big deal because we can work on it the next day and no area gets lonely. Reading with Kaleb – I also need to focus more on reading alone with just Kaleb – my reading TO him, other than our read-aloud time. He is a ‘get it done’ boy and focuses in on making sure everything is done properly (cough) and doesn’t always take a lot of time to relax and enjoy – and that is so important too. Read-alouds – Much of our read-aloud time was spent with audiobooks in the car, but was also hard since one child was here and another was there and no one wanted to miss out on anything. We’ve decided instead to push along in a book and later tell the missing sibling what happened when they were gone. That way we can cover more ground together. Having the kids DOING something (like building with LEGOs or drawing) has been a huge help. That’s about it for our 3rd grade mid-year curriculum review! How is your year going so far?